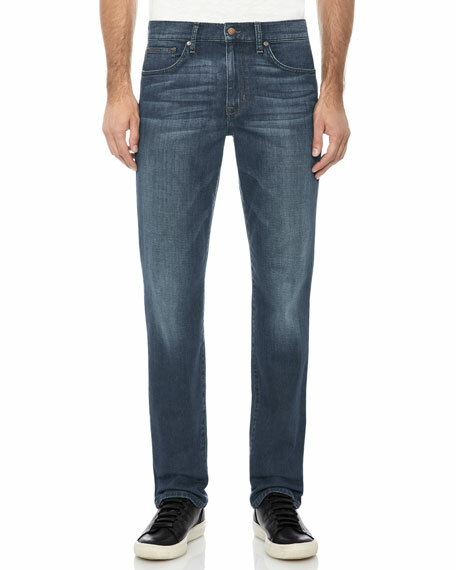 Joe's Jeans "Brixton" cut in dark-blue wash with whiskering and fading. 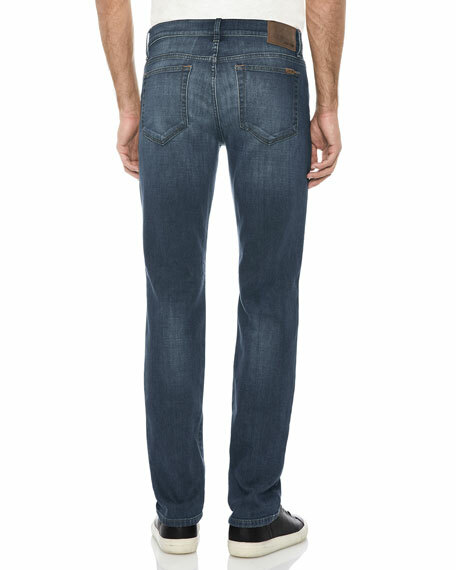 Five-pocket style; Joe's Jeans logo patch on back right pocket. Introduced by Joe Dahan in 2001, Joe's was a pioneer of creating different styles for various body types. This Los Angeles-based line is known for its excellent fit and Southern California flair. For in-store inquiries, use sku #2640182.